Counter-Strike Review: The Ultimate Multiplayer Game? Counter-Strike is one of the biggest multiplayer successes in the history of gaming. It started out as a modification for the popular Valve developed first-person shooter Half-Life. Offered as a free download the game soon found a massive audience and years later you can still guarantee thousands of gamers will be busily engaged in battle round the clock 24/7 on Counter-Strike servers all over the world. It didn’t take long for Counter-Strike to go retail and several versions have been released over the years. The game pits a team of terrorists against counter-terrorists with two main modes. The first sees terrorists planting a bomb and ensuring it explodes to win, while the counter-terrorists battle to find and defuse it. The second charges the terrorists with holding a group of hostages while the counter-terrorists fight to lead them to safety. 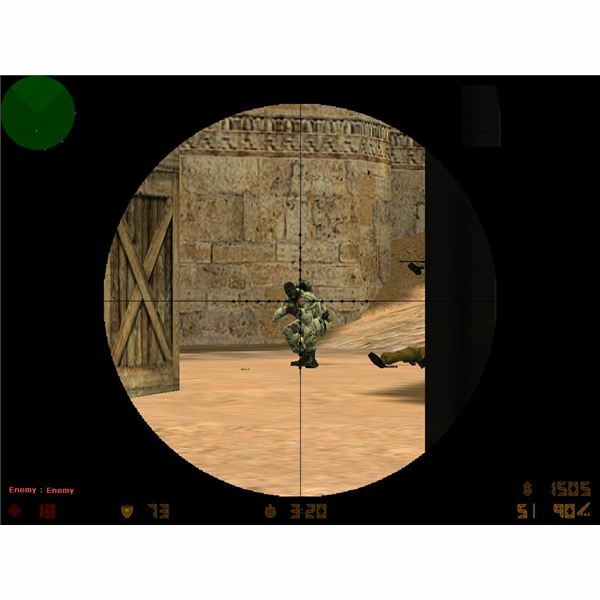 Counter-Strike introduced several new concepts to multiplayer gaming, most notably the buy zone at the start of each round where players buy their equipment using money gained. Then there’s the respawn rules, if you get killed during a round, even if it is thirty seconds in, you are dead, completely dead with no respawn and all you can do is watch your team until the round ends. The combat is on the realistic side and tactics definitely work so teams that communicate well and cover each other generally win. The weapons are all based on real world weaponry so there are Desert Eagle’s, AK-47’s and flash-bang grenades to blind the enemy. Each side has different weaponry available and they earn money as the rounds advance which can be spent on better weaponry in the next round. Key to the success of the game is the maps. Games are played on a variety of maps and each is perfectly balanced to give both sides a reasonable chance of victory. The tactics people have developed for individual maps are complex and varied. In my experience each round starts with a mad dash to a choke point where the majority of the combatants are gunned down, then the rest of the round plays out as an agonizingly slow cat and mouse game with crouching, cautious gamers circling around each other. Due to my trigger happy nature and impatience I’d often find myself felled in the first skirmish but being able to observe your team in action for the rest of the round is a good way to learn maps and tactics and before long I was learning basic military principles. Graphically speaking Counter-Strike was never the best looking game and the Half-Life engine is very dated now. The environments are well realised even if the textures look a bit blocky and blotchy by modern standards. The weapon models were always excellent and closely based on the real thing. The player models are fairly basic but the animations are effective and not being able to tell between the sides from a distance is part of the game. While it definitely looks dated Counter-Strike was always more about the game-play. Counter-Strike has always been about the multiplayer; the team work and the tactics are all important and the game allows for some satisfyingly deep and complex approaches. The game spawned a number of leagues and helped to make gaming a viable career for some people with the introduction of tournaments with grand prizes attached. Many clans started up as Counter-Strike teams and the competitive leagues are still very much alive. One of the reasons the game remains so popular is the low demands it makes on your system. Just a 500 MHz processor, 96 MB of RAM and an old video card like a 3DFX Voodoo 3 or an ATI Rage 128 is enough to run the game. However a decent web connection is essential to prevent lag. Counter-Strike was genius in terms of game-play and it has gone a long way towards popularising online multiplayer gaming. It is very rare to find such a universally loved and deeply addictive game which is astoundingly still being played by thousands of people. Checking the statistics on Valve’s Steam right at this moment there are 67,935 people playing Counter-Strike. It is second only to Counter-Strike Source, the updated version on Valve’s newer engine and the next entry on the table, the recently released zombie game Left 4 Dead, can only claim 20,000 gamers. Many games have attempted to steal the Counter-Strike crown but none of them have really succeeded. 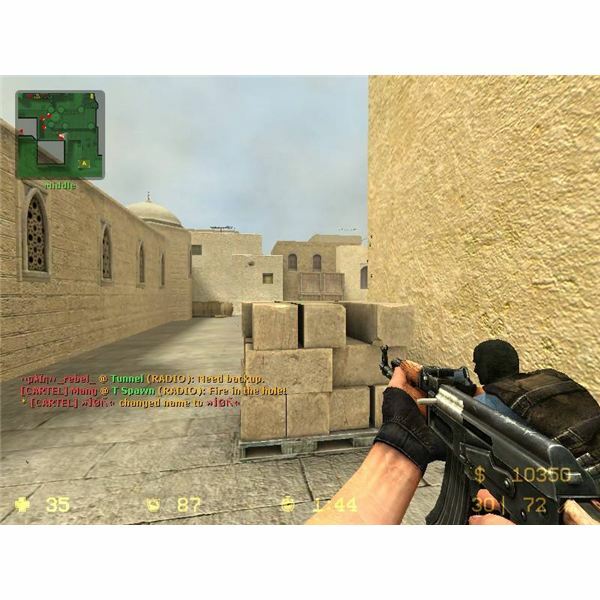 Most gamers, especially in the first-person shooter scene, will play Counter-Strike at some point and for fans it remains a daily sport and a way of life.